How to Fix DNS_PROBE_FINISHED_NXDOMAIN on Chrome? 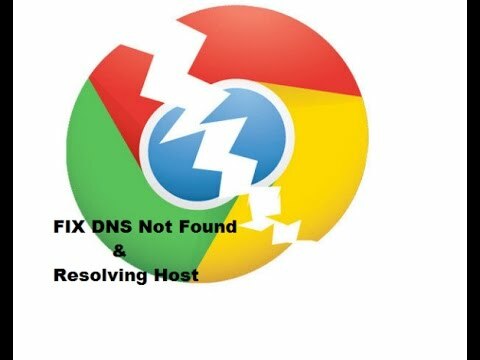 Today I have come up with few potential solutions to fix the issue of DNS_PROBE_FINISHED_NXDOMAIN or DNS PROBE FINISHED NXDOMAIN on Google Chrome. DNS actually stands for Domain Name Servers which loads the web pages from the host (the one where web pages are stored in the cloud). If you have a slow internet connectivity or due to some other issues your browser may show up DNS errors and may not be able to connect to the host. The DNS Probe Finished Nxdoamin error generally Occurs because DNS lookup Fails When you try and access the Web page. Clearing DNS Cache of Google Chrome could be potentially the best fix to solve the issue of DNS Probe Error. Method 5. Restore Chrome to Default Settings. In the address bar type chrome://flags/ and hit enter. You can see a Reset all to default button. Restarting the DNS client can also fix the ‘DNS probe finished nxdomain’ error on your PC. Note & Conclusion: I hope the post was helpful and solved your issue to fix the DNS Probe Finished NXDomain Chrome Error. Do comment below for any queries of suggestion. Cheers! If you've any thoughts on DNS PROBE FINISHED NXDOMAIN – Best Chrome Fix, then feel free to drop in below comment box.